01978 757305 Access available to members of bona fide caving clubs with BCA insurance. Contact NWCC for latest info. Cromhall, Wotton Under Edge, GL12 8AS. Please send written request, stating preferred date for trip, enclose a sae. Please visit http://www.rfdcc.org.uk for booking details. Party size limited to 5 + leader. Gloucester, GL1 4LG Please send written request, stating preferred date for trip, enclose a sae. NP5 4LZ Please send written request, stating preferred date for trip, enclose a sae. Gloucester, GL1 4LG Please send written request, stating preferred date for trip, enclose a sae. This cave is generally closed in winter due to high water levels. Parties should be no more than three in total and must be led. No novices. Clydach Gorge Access to Carno Adit is no longer available. Send sae with date for planned trip. Access available to members of bona fide caving clubs, this is defined as clubs, which are members of a regional council, BCRA or similar body. Send sae with date for planned trip. Access available to members of bona fide caving clubs, this is defined as clubs, which are members of a regional council, BCRA or similar body. Maximum party size 8, age limits apply. Llangattock Escarpment Key available from Stuart France, Any bona fide individual caver or caving club can get one for £10, refundable if the key is returned. A key for the gate is not required if undertaking the through trip from Daren Cilau. Llangattock Escarpment Gate no longer locked. Central Northern Outcrop The landowners at ogof y ci have requested that people ask at the farm (Llwyncilsanws SO039105) before using Ogof Y Ci and that visits are only during the daytime, no evening trips. Permission available from SWCC HQ at weekends, for mid week access contact SWCC. 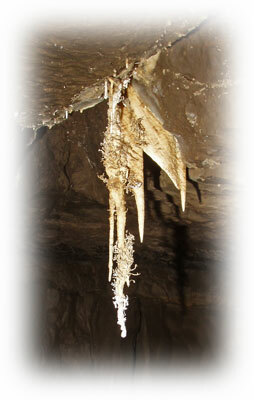 Please look at the Latest Cave Access Info page for updated access info. Send sae or e-mail, include date for planned. Access available to members of bona fide caving clubs, this is defined as clubs, which are members of a regional council, BCA or similar body. Maximum party size 6. A key to the gate can be obtained from Absolute Adventure, whose centre is on the opposite side of the valley and they are leasing the quarry land in question. Swansea Valley Contact Details Here The party must be with a Dan-yr-Ogof Conservation Warden. Send sae or e-mail, include date for planned for planned trip. Access available to members of bona fide caving clubs, this is defined as clubs, which are members of a regional council, BCA or similar body. Maximum party size 6. Send sae or e-mail, include date for planned for planned trip. Access available to members of bona fide caving clubs, this is defined as clubs, which are members of a regional council, BCA or similar body. Maximum party size 6.. Contact SWCC HQ for trips in and out of the top entrance. DYO warden required to exit via Showcaves. NP4 8EB Key held by Chris Gibbs, and access is available to bona fide cavers. Gower Gate no longer locked, but the cave is believed to be inaccessible due to flood debris or roof collapse, and there are issues with the exact permitted route of access (i;.e. which path to use). Tel: 01639 730 613 Must be members of a caving club with BCA insurance, key from SWCC HQ. Ogof Gofan Visits to Ogof Gofan, which is on Range East, do not require a badge and it is simply a matter of contacting the Cambrian Caving Council access officer to negotiate the date you have requested for your visit with the MOD staff. This process is done by email. Cave Access Ltd controlled mines CCC officers have negotiated access for exploring 11 disused mine sites across Wales owned by NRW or the Welsh Government. The mine locations and access permit procedure is on the www.caveaccess.co.uk website. The scheme runs until March 2016 and it is hoped to renew and expand it then. SO 022 084 is gated with a 'Derbyshire' bolt and chain. Take two large adjustable spanners to get in. CCC has an access agreement here with NRW, but it is understood that they are selling the land. Please check with the CCC Conservation/Access Officer about current ownership and access. © 2019 Cambrian Caving Council. Design by FCT.